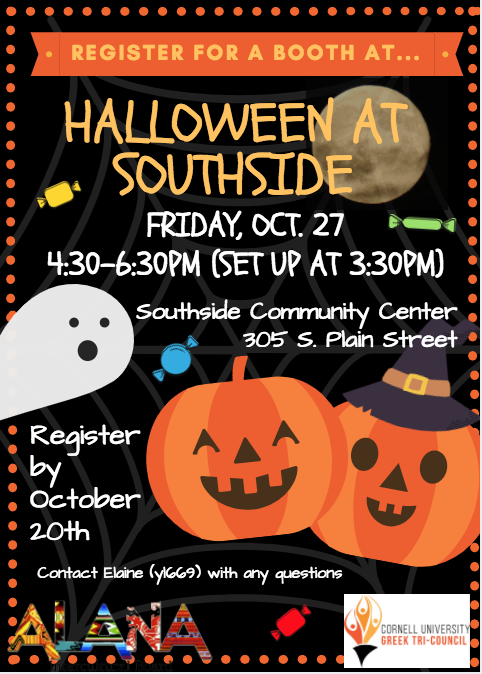 ALANA Intercultural Board is thrilled to be hosting Halloween at Southside again this year! Come celebrate All Hallow's Eve with ALANA Intercultural Board, Southside Community Center, the children of Ithaca, and Cornell Greek Tri-Council. 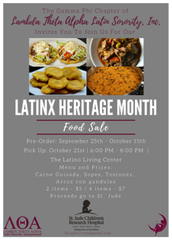 From 4:30-6:30 pm we will host a carnival where your organization will get the chance to set up an activity booth (i.e. face painting, games, mummy wrapping, etc.) 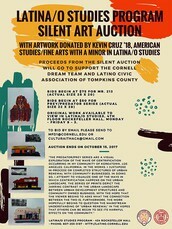 for the kids in the Ithaca community. 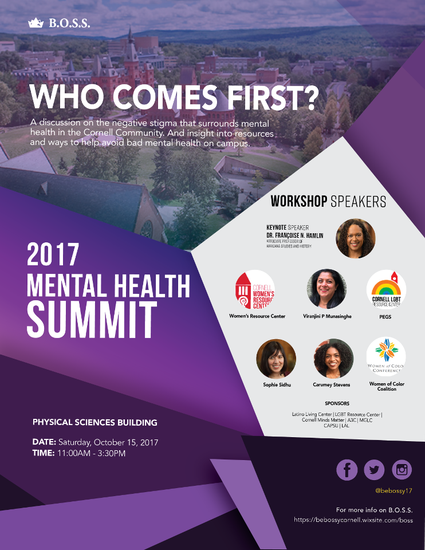 REGISTRATION DEADLINE IS 11:59PM ON OCTOBER 20th! 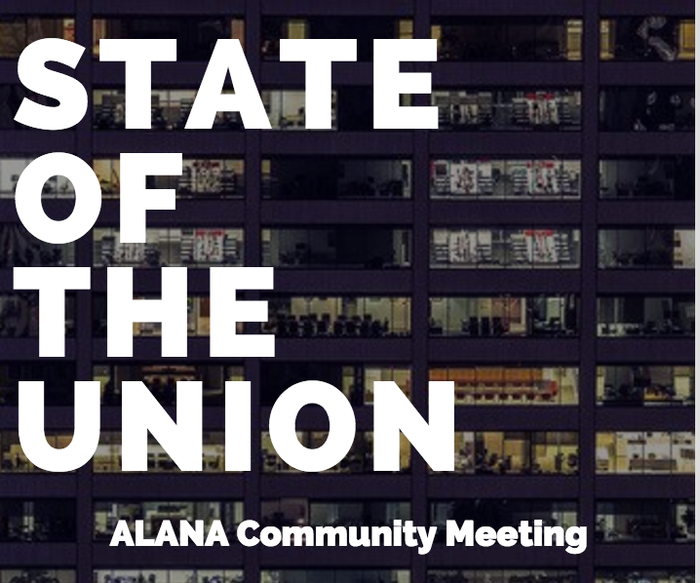 THANK YOU to all who came out to our first community meeting of the semester: STATE OF THE UNION! 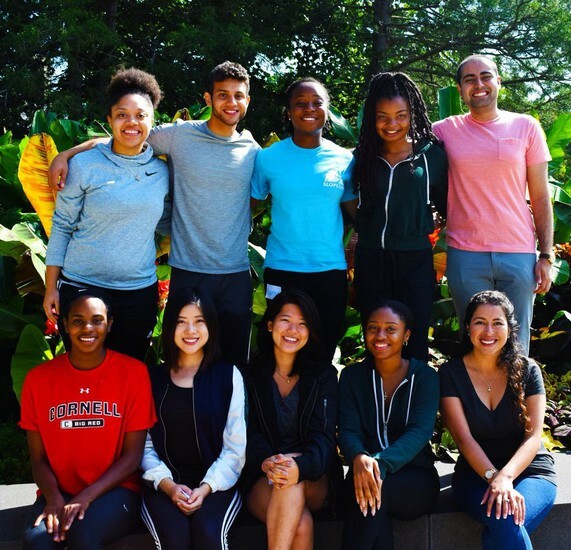 Before you can apply for funding, students also are required to attend an Orientation and a Community-Engaged Leadership Retreat. This application is one route into Stage 2 of the Certificate in Engaged Leadership. The application should take you 1-2 hours to complete. This is your opportunity to reflect on the same guiding questions that students in Stage 1 have been reflecting on for entrance into Stage 2. 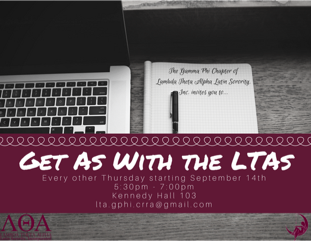 Join the Lovely Lambda Ladies de Lambda Theta Alpha Latin, Sorority Inc., Gamma Phi Chapter, as we hit the books! October 12th, and every other Thursday, from 5:30pm to 7pm in Kennedy Hall room 103. Let's succeed together! 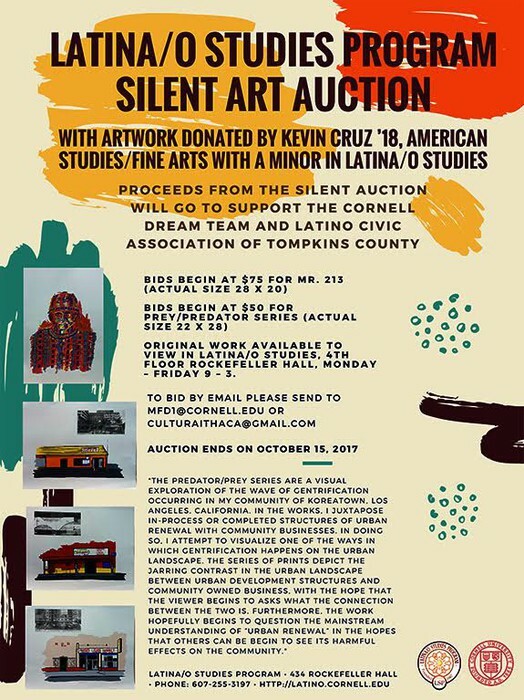 Latina/o Studies, 4th Floor Rockefeller Hall, Monday – Friday 9 – 3. Venmo description should be labeled "LTA Food Sale"
Monday October 16, 2017, 5-6 p.m.
For students who want to turn their interest into involvement. 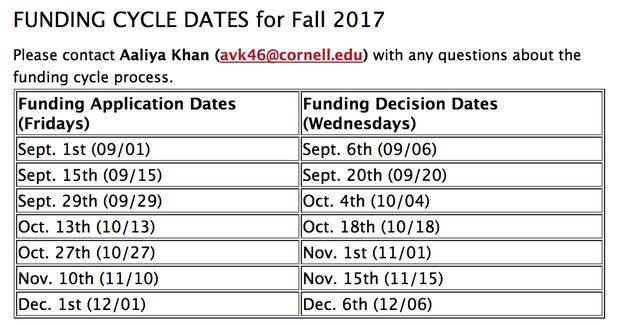 For students already committed to community engagement or exploring/new to Cornell. Want an amazing Spring Break? SPRING BREAKS INFO SESSIONS IN OCTOBER!!! Attendance at an Info Session is mandatory to apply. Trip Leader and E-Board positions are open! 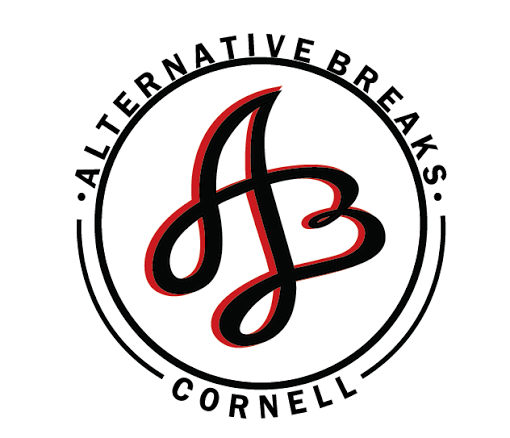 Alternative Breaks is a student-led organization that facilitates Cornell students during their spring break to engage with community agencies in domestic violence safe houses, homeless shelters, residential treatment facilities, LGBTQIA+ youth homeless shelters, schools, and other direct community services and centers. Before the trip, students are immersed in a 12-week service learning curriculum that discusses social justice and trip specific issues. Interested in business? Join the Black Wharton Undergraduate Association in their annual Black Ivy League Business Conference at the University of Pennsylvania from November 10th - 12th, 2017. Get the chance to attend panels, workshops, learn about a variety of industries including finance, consulting, and entrepreneurship and network with prominent business leaders! 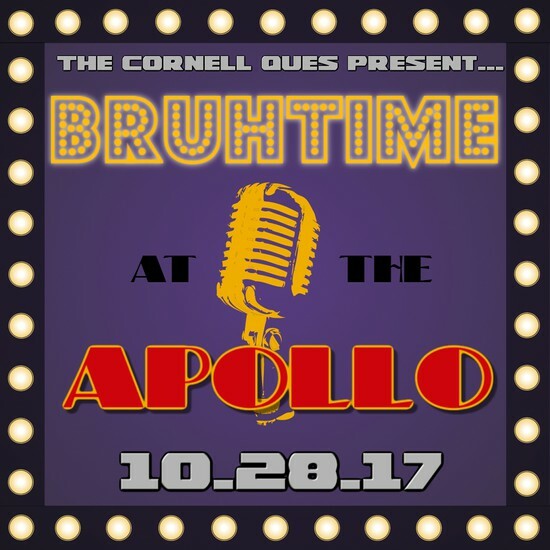 Tickets go on sale soon! Stay tuned for more updates! Contact Sharon (sk2275) or Diamond (db699) for more information/if you're interested in attending!